Eve online has been known for its cutthroat pvp like nature. Even though pvpers would say eve has turned into a carebear Valhalla we all know eve still hold real loss and real consequences when you screw up. Eve since its early days has had a mechanic that revolves around war. For those unfamiliar with how eve works. New Eden has 3 specific zones high sec, low sec, and Null sec. In both Low sec and null sec combat is freely available and player vs player combat is always on everyone’s mind. But in High sec engaging in non-mutual pvp causes a police force to react and kill the aggressor. However there was a way to legally kill people in high sec, you did that by declaring war on someone. After a 24 hour warm-up period, the war became official. The entity that declared the war could then attack the group it declared it upon. Now, this sounds like a pretty sound system. However, the war declaration was always unilateral and did not require the consent of the defending party. Meaning from its early conception on it was used to declare war on newer groups by more experienced groups. Or by pirate groups to harass defenseless players. Of course, eve was and in my mind should stay a cutthroat place. However new players are always deposited in highsec when they start and there first interaction with the game is usually restricted to this region of space. They might come into the game with the idea to start their own group but they wanna start in highsec. They set up shop in a quiet system but not to far from any of the trade hubs. They start becoming active and regularly visit these trade hubs. Now a few days after this player started his group they caught the eye of a pirate wardec player in a trade hub. That pirate realizes that these are new and relatively defenseless players. So he immediately wardecs them to get easy kills. The less experienced players do not know how to respond and are forced into 2 options. To not play or to keep playing and maybe get blown up. Now this above scenario has come and gone many times for many different groups over the history of this game. But what we need to understand is that the system allowed an experienced group to always at there will attack a group that has no experience with it whatsoever. Over the years a lot of players have called for the removal of the wardec system, however, they were usually met with harsh criticism. But among the threads that popped up, there was always someone noting that ccp should look how much effect the system had on new player retention. Those players that suspected it could have a detrimental effect on player retention where finally proven right. At eve vegas 2018 a yearly eve meeting in las vegas CCP finally admitted the wardec system has a severe enough detrimental effect on new player retention. We can only speculate at how long ccp has denied these statistics or if ccp only recently decided to research those statistics. But CCP has been forced to act. With a lower player base and potential shrink in player base CCP was forced to act and rebalance the wardec system. 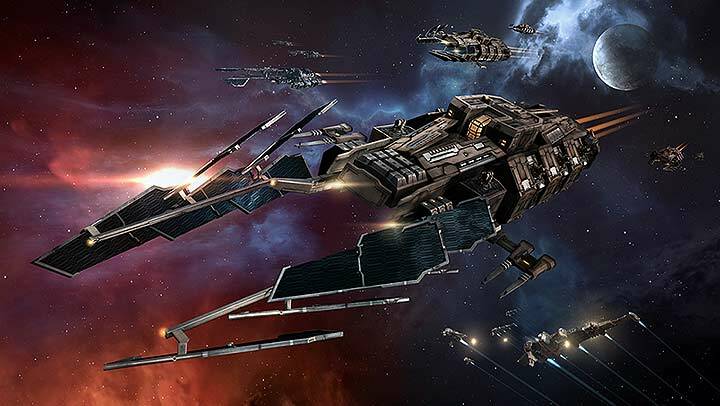 So in the coming months starting on the 11th of December ccp will be rolling out a series of changes to the wardec system to make it more forgiving for newer players and groups trying their luck at playing eve online. If you wanna read more about it read this dev blog about the first changes to the wardec system. I’m really enjoying the theme/design of your weblog. Do you ever run into any browser compatibility problems? A handful of my blog readers have complained about my website not operating correctly in Explorer but looks great in Firefox. Do you have any advice to help fix this problem? I carry on listening to the news broadcast lecture about receiving boundless online grant applications so I have been looking around for the top site to get one. Could you tell me please, where could i get some? Simply want to say your article is as amazing. The clearness in your post is just great and i could assume you are an expert on this subject. Well with your permission allow me to grab your RSS feed to keep updated with forthcoming post. Thanks a million and please keep up the enjoyable work. Just how do you discover different blog sites on Blogger with key words or search? I just recently began a blog site, and I was simply asking yourself just how people have promoted their blog sites online to obtain more followers so you aren’t simply typing to absolutely nothing out in the internet?. Oh, and for my blog, I do not truly want my close friends to be my fans, unless they locate it on their own. My blog is about something that most of my close friend’s can’t actually help me with. (Digital photography is the main subject). Leave a Reply to internet speed Click here to cancel reply.